D L Day grew up in Oklahoma, Kansas, and Texas. His father was a Pentecostal preacher. He is a communication professional and holds an MA in Mass Communication. His writings are based on true stories and experience. Horrifying and hilarious, Diamonds & Devils is one of the most moving & surprising coming of age stories of the season. 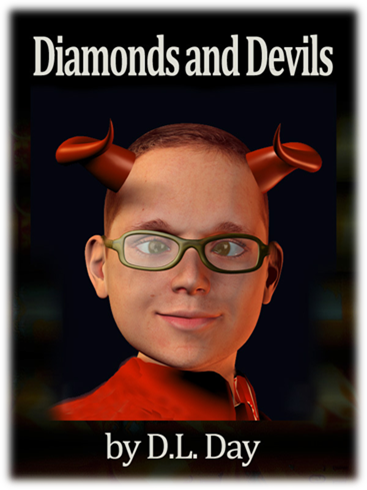 Diamonds and Devils: A life story of a Gay boy with an Evangelical father and a surprising secret. When an elderly Fundamentalist Preacher father with dementia shows up lost and unexpected at his Gay son's house a strange history unfolds.